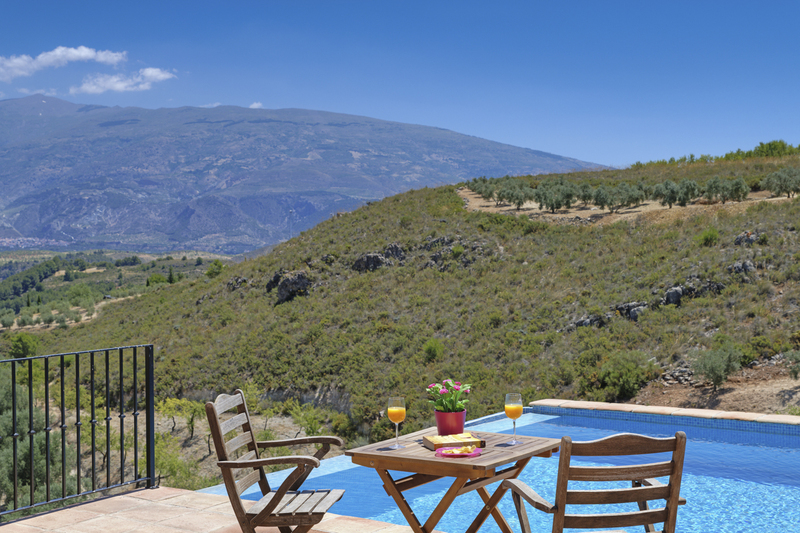 Located in Cónchar, just outside the vast Sierra Nevada National Park, Villa Aguila offers the most captivating mountain views, in sight of the majestic Pico Veleta and beautiful Lecrin Valley. 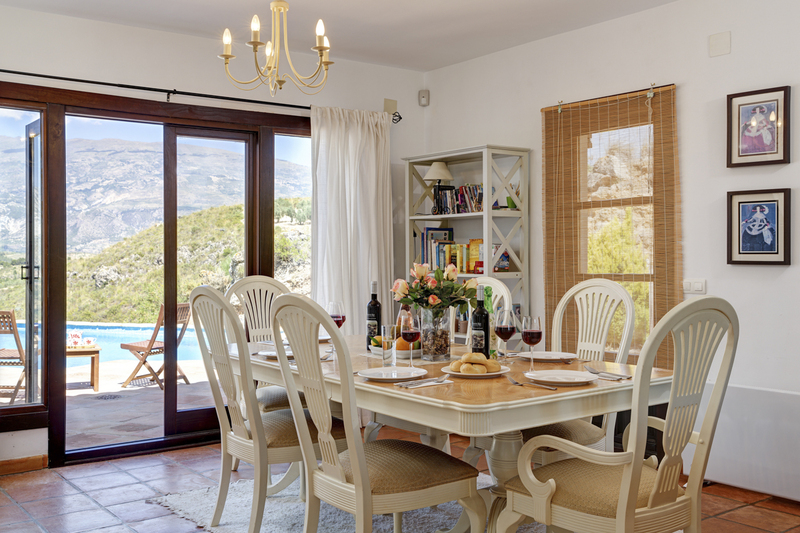 This peaceful 3-bedroom villa is surrounded by almond and olive trees, giving you seclusion and privacy, and has a stunning outdoor infinity pool right outside. 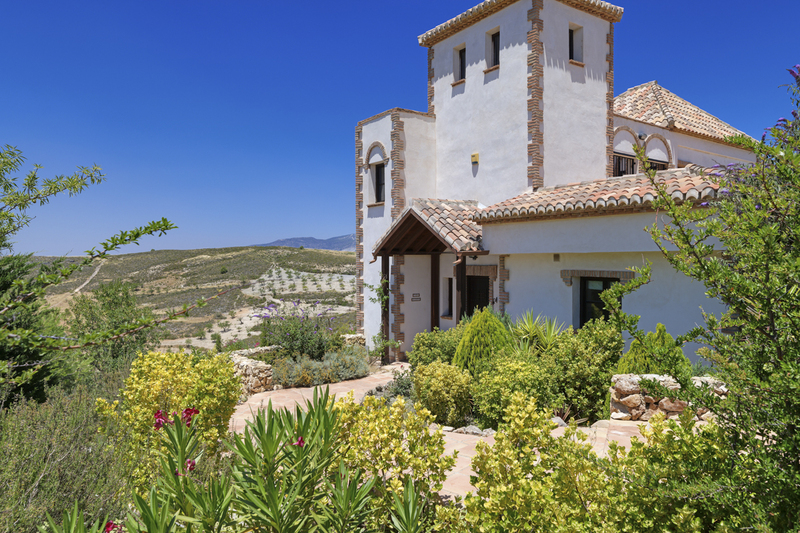 Around 15 miles from Granada, this villa has both city and Mediterranean beach life within a 35-minute drive. 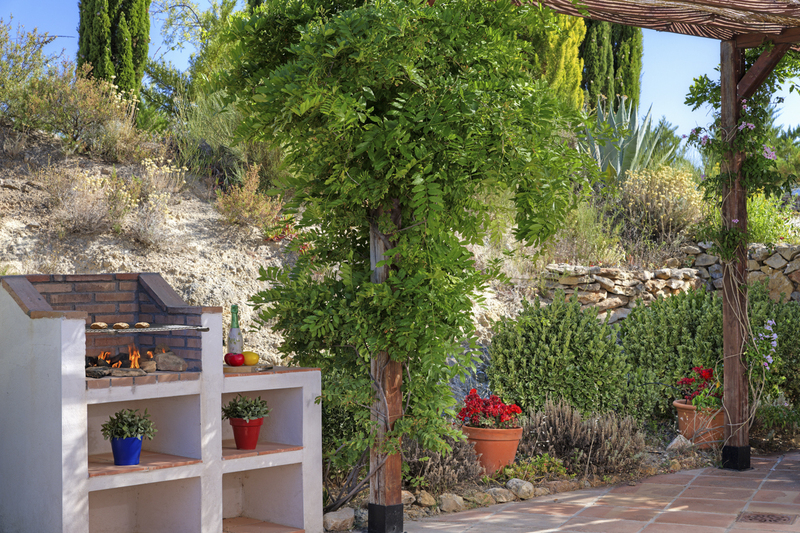 The property offers several terrace areas to make the most of the climate, with plenty of garden furniture, a barbecue and a shaded pergola area perfect for dining. 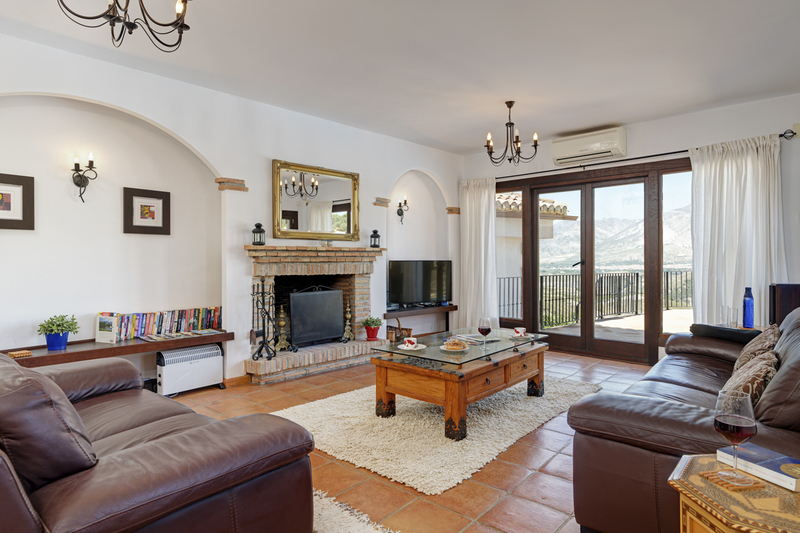 There’s lots of room to spread out inside, with a living room with open fireplace featuring a cool tiled floor, chunky leather sofas and direct access to the terrace. A 43” HD TV with DVD and media streamer provides all the entertainment you could need, and the broadband is speedy too. 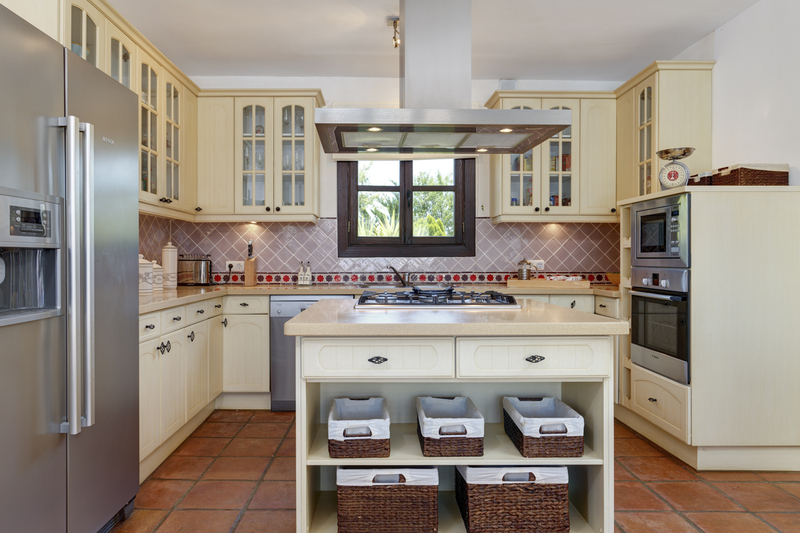 An open-plan kitchen and dining room is fully equipped with an oven, a large fridge freezer, microwave, dishwasher, washing machine and coffee maker, and offers plenty of storage space. 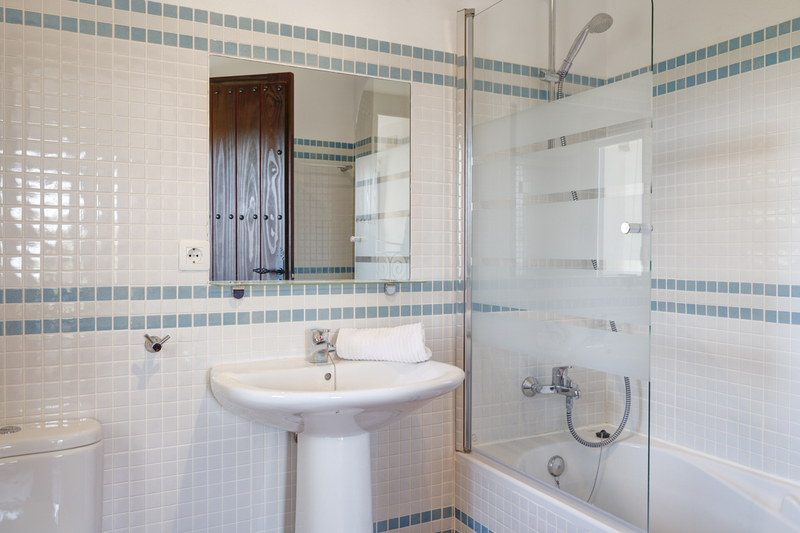 Each of the three double bedrooms offers wonderful views, and all have their own private bathroom. 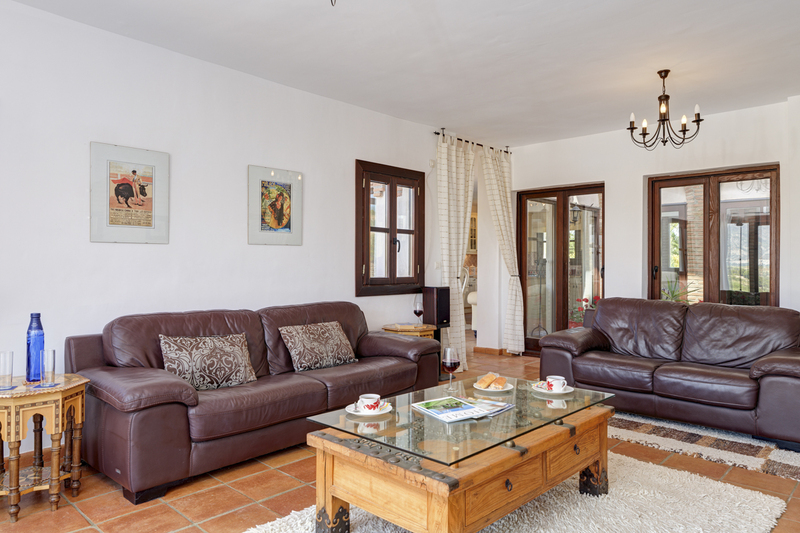 In addition, the master bedroom has the benefits of air-conditioning and a TV with DVD player. 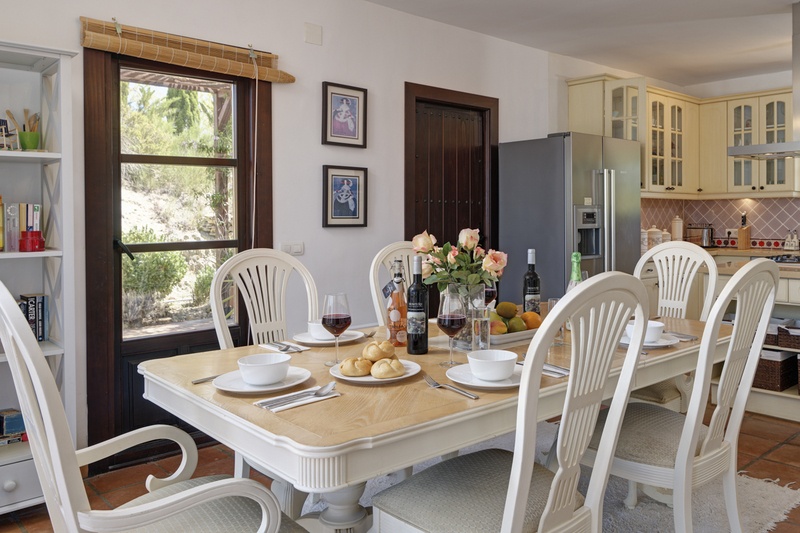 Villa Aguila’s rural location is only a few minutes away from the A44 motorway by a good paved road, giving easy access to Granada and the coast, and useful amenities like shops, restaurants and a supermarket can be found within 5km of the villa. There is enough in Granada and the surrounding area to keep you occupied for days, with the grand palaces of the Alhambra its no.1 attraction. There’s much more for architecture lovers to marvel at, including the Catedral Santa María de la Encarnación and the adjacent grand chapel, Capilla Real. The colourful Arab Spice Market and family-friendly Parque de las Ciencas science park add some diversity to the experience, while annual festivals like the International Festival of Music and Dance in early summer showcase traditional flamenco dancing and world music. 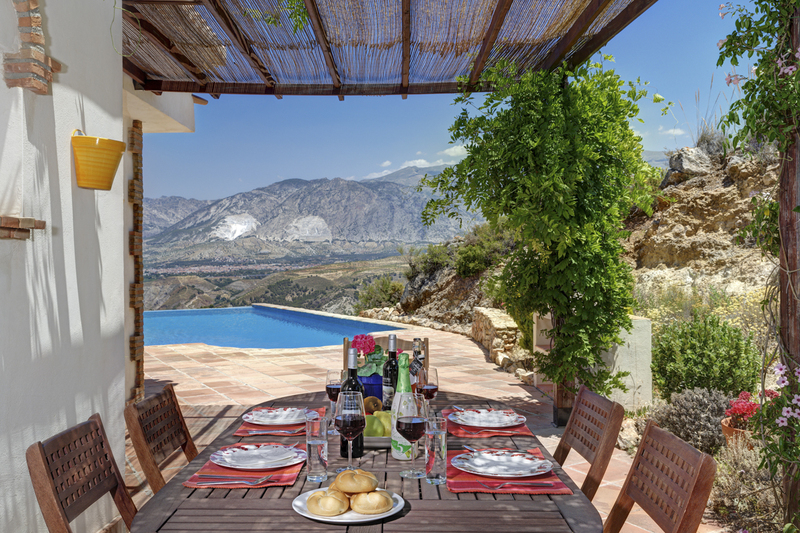 The mountains of the Sierra Nevada give you Spain from its highest point, and much more besides. The multiple towering peaks form part of a UNESCO Biosphere Reserve, such is the outstanding beauty and biodiversity of the region. Some plant and animal species are unique to the area, including several butterflies such as the Sierra Nevada Blue. Visitors will find no shortage of activities they can undertake while making the most of the scenery. Hiking, mountaineering and mountain biking are natural choices, and the Sierra Nevada ski resort offers snowy adventures to participants of all levels of ability – and there is snow for most of the year. Below ground, there’s caving, or for something less taxing but equally unforgettable, you can take to the skies in a hot-air balloon. 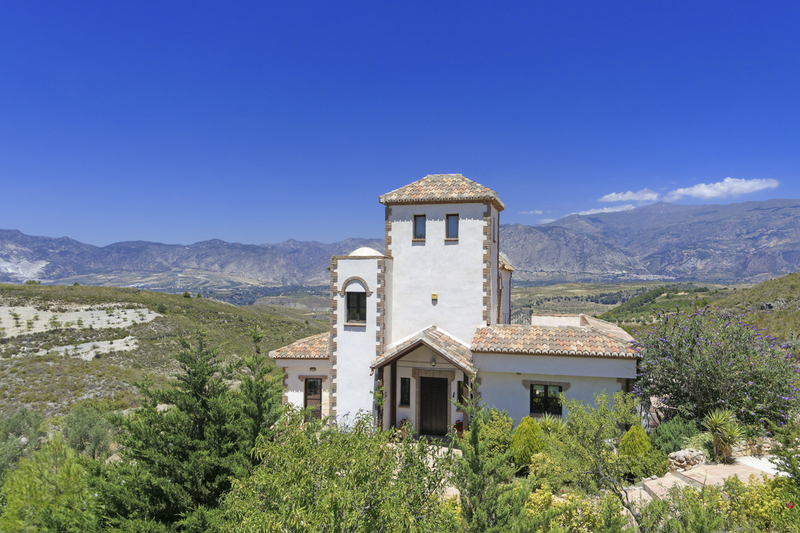 To the north west of the region, the spectacular city of Granada is not to be passed by. The majestic Alhambra sits on a fortified hilltop with the Sierra Nevada mountains in the background, and is worth a visit for the photo alone. It’s an incredible monument to Islamic architecture, with some parts dating back as far as the 13th century. There will always be queues for these ornate Moorish palaces, but if you’re in Granada it’s got to be done. 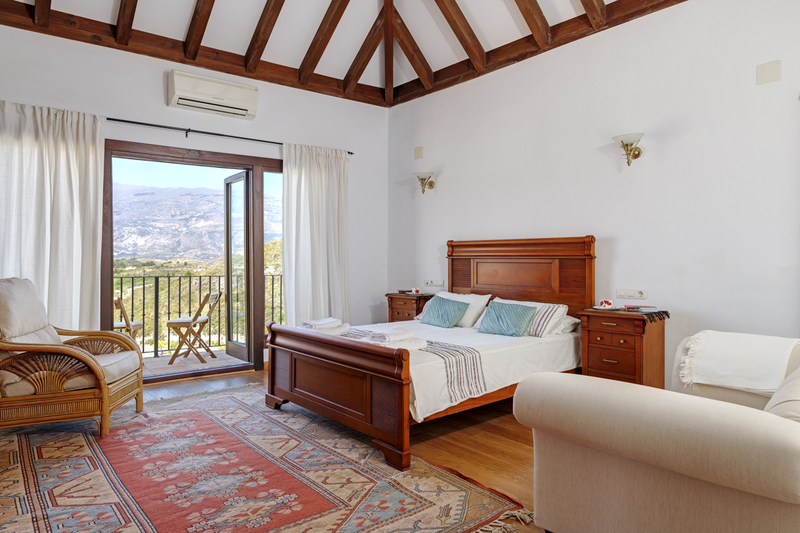 For a historical tour of your own making, you can always ramble around the Albaicín quarter, itself a World Heritage Site, or the colourful Gypsy quarter on the Sacromonte. As well as caves and homes decorated with hand-painted ceramics, this hilltop district also offers some of the best views in town, over the Valparaiso Valley and the Darro River.